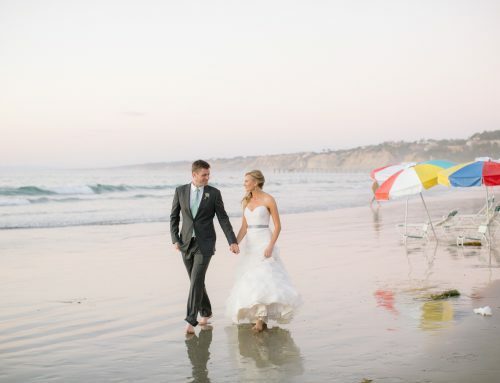 Katie and Jesse were married last fall at the Scripps Seaside Forum. The bride and groom wanted to focus on great food, great music and classic and simple decor elements. Because the bride and groom both work a significant number of hours each week, I worked closely with the Mother of the Bride, Kim. We worked together on decorative elements, and Kim put together one of the best slideshow’s I’ve ever seen! We were concerned about the weather, and the possibility of seating some of the large guest list outside, but Mother Nature was on our side and she created a beautiful afternoon and evening. The ceremony was really meaningful. Their officiant also married several other family members. The photo of newlyweds walking out of the ceremony is always a favorite. You can feel the excitement and love in this picture. One of my favorite aspects of the Forum is the number of photo opportunities. Of course, there is the background of the ocean and the pier. But, the wood paneling surrounding the building is a great and neutral backdrop. There is also a beautiful rose garden just adjacent to the Forum, and behind the Forum sits grassy area that has an amphitheater feel. One of the most meaningful and touching parts of the evening was the slideshow and toasts. Katie’s sister Kristen was unable to make it to the wedding, so the family talked about the bond that Katie and Kristen have. She has a devastating progressive neurodegenerative disorder called Lafora Disease. There’s an organization called Chelsea’s Hope which was developed to support researchers working on a cure. Katie’s family has joined the board of that organization and is currently chairing an online auction. The proceeds will go directly to researchers at the University of Toronto where the cutting edge research is being done. At the auction, I Do..Weddings & Events and Melissa have donated their services to help find a cure. You can find out more about this disease and this online auction by clicking here. You can bid on a $400 gift certificate for coordination and/or design services, possibly at a discounted rate! We are thrilled to support Katie, Jesse and their families. 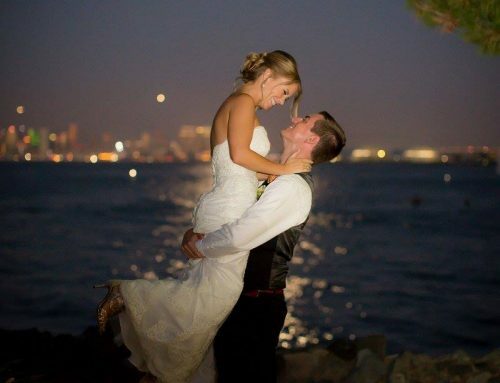 Katie and Jesse, thank you so much for choosing me! I loved getting to know you and being a part of your wedding day!